I'm from Indiana so there are two things my state knows well - basketball and racing. It's pretty standard to make a big deal about these sporting events. But this town is especially crazy for anything race related. I remember when I was little the neighborhood families would come together and have a Race Day party. We would block the main road that all of the houses lived off of and celebrate with a huge block party. The tables would be filled with food while families lined the streets with chairs and blankets. Someone would always wheel out a T.V. and use a million extension cords to make sure it would reach the street. Then, while the adults would watch the race, we would line up our bikes at the end of the road and have our own races. I still remember the excitement I felt leading up to our Race Day party - it was one of my favorite events of the year as a child. 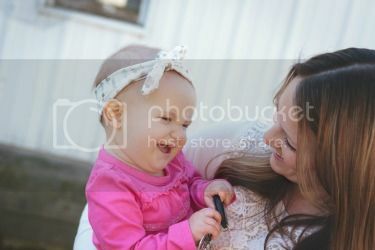 Now that I have my own family I try to create as many traditions and memories that can possibly fill up their little heads. This year we kept our Race Day party low-key, mainly because my husband was on call and had to work. However, we still wanted it to be a fun time but also wanted to make sure we could expand it's greatness next year when my husband will (hopefully) not be on call! While the plan was to keep it smaller, I knew I still wanted to have yummy eats to snack on and most importantly - a bike race for Cohen to have against his dad. So I headed to Walmart to grab the necessities for our day of family fun! 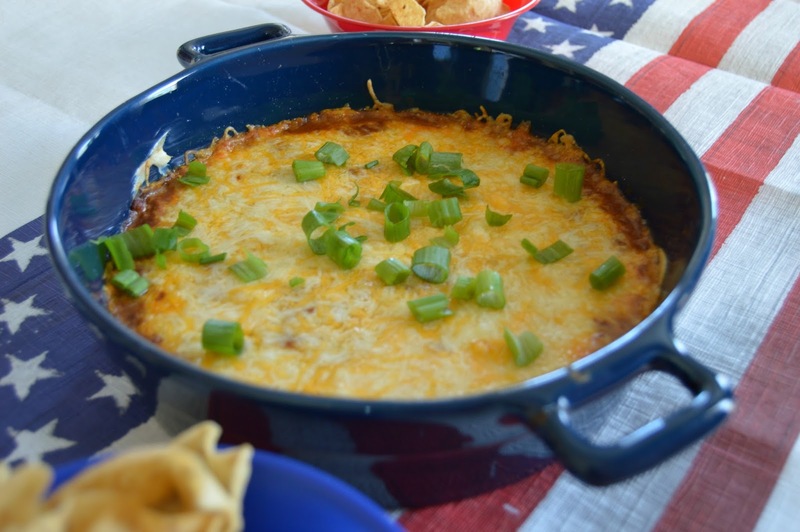 Lately the husband has been asking for my Chili Cheese Dip so it only made sense to whip it together for our Race Day gathering. However, as delicious as this stuff really is, chili doesn't sit too well with me on the indigestion side of things, especially since having my last baby. The heartburn hits me like woah almost on a weekly basis with many things that I eat. There was no way I was going to be hurting during our Race Day party, so I had to be prepared! 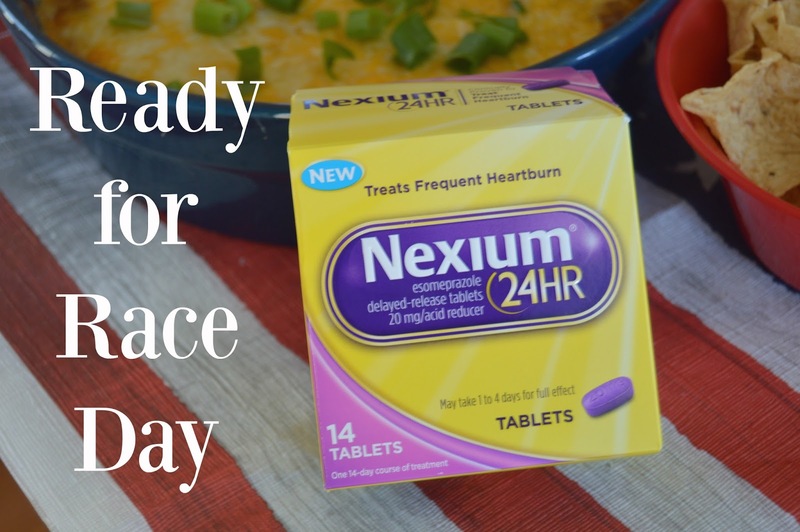 Lucky for me I have Nexium 24HR, the new #1 selling frequent heartburn brand* (with new easy to swallow tablets) that offers protection for this problem - just one pill a day and it is a simple solution to frequent heartburn! Nexium 24HR offers all day and all night protection but it may take one to four days to feel the full effect. Just make sure you use it as directed for 14 days to treat frequent heartburn. (Do not take for more than 14 days or more often than every 4 months unless directed by a doctor. And remember - it's not for immediate relief!) 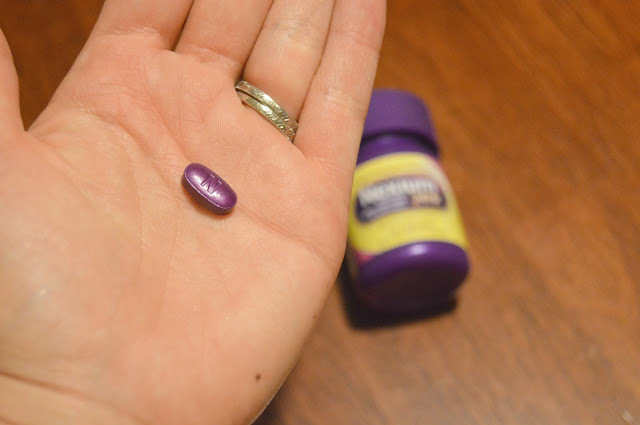 I made sure to grab a box of Nexium 24HR, my snack ingredients and a few Race Day goodies before I left the store - the fun was just about to get started! On the day of our Race Day party I made sure to get things prepped and ready early so everything would be ready to go as soon as Kurtis got home from work. One of the first things I did was prep the Chili Cheese Dip so I could pop it in the oven right before eating it. This dip is so easy and is a hit with just about everyone! 1. 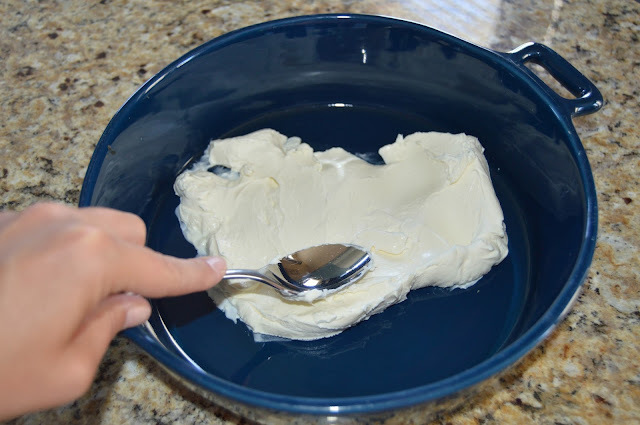 Begin by spreading the cream cheese on the bottom of your baking dish. I use my circle casserole dish with handles but a pie pan would work great too! 2. 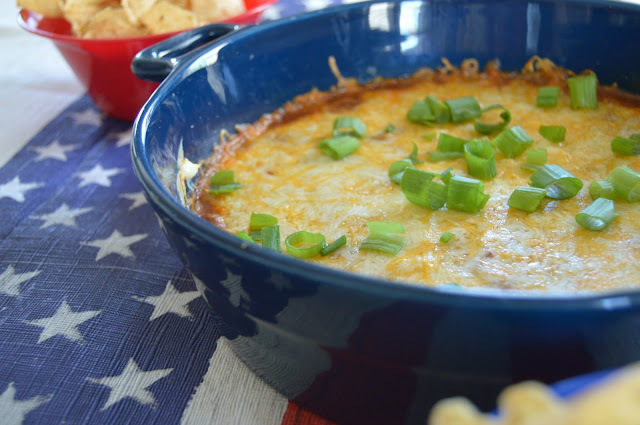 Layer the chili on top of the cream cheese, spreading it out. 3. 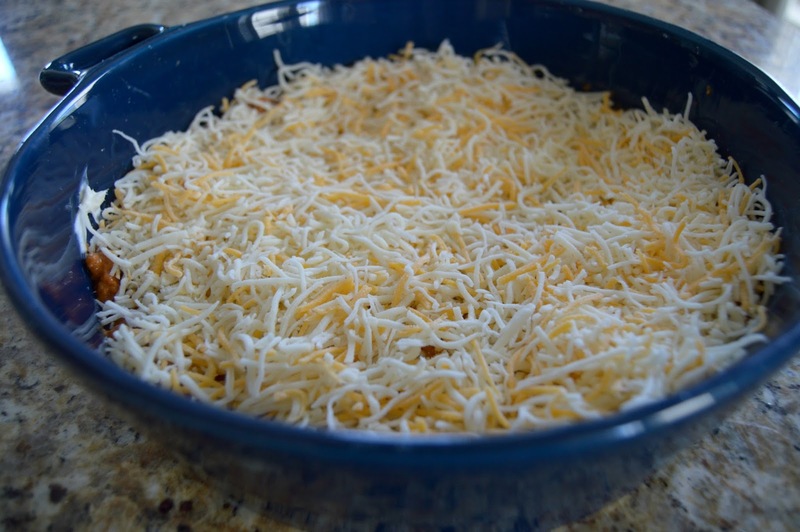 Cover the top of the dip with the shredded cheese and bake for 15 minutes at 350 degrees. 4. For the last few minutes, switch the oven to broil to get the cheese super melted and gooey. Just be sure to watch it so it doesn't burn! After preparing the dip, I got out a few other snacks and then was ready to make Cohen's bike race track. Luckily we live off of an access road so it's a straight street that only people who live off of it will drive on. I used chalk to make a start and finish line and let the kids go to town! 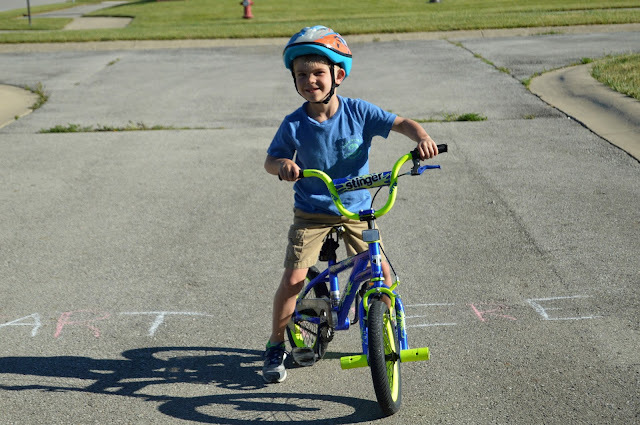 He recently learned how to ride without his training wheels which made his bike race even more fun. 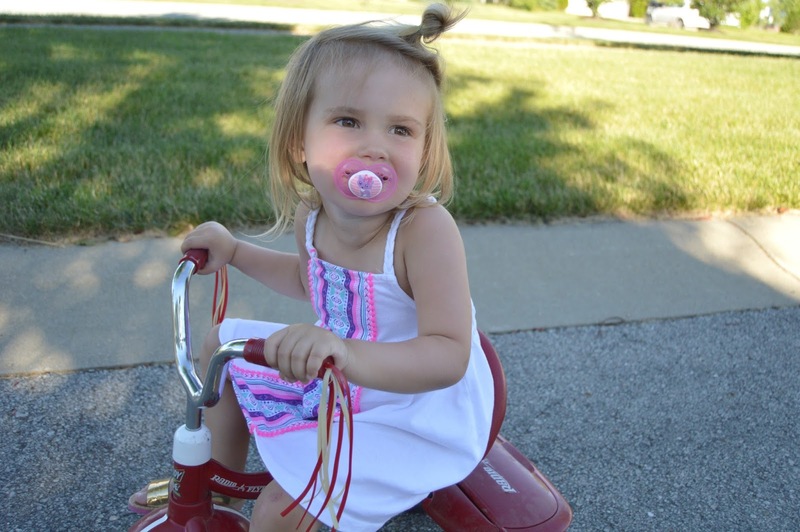 And then there's sweet Lola, trying to catch up on her little tricycle. 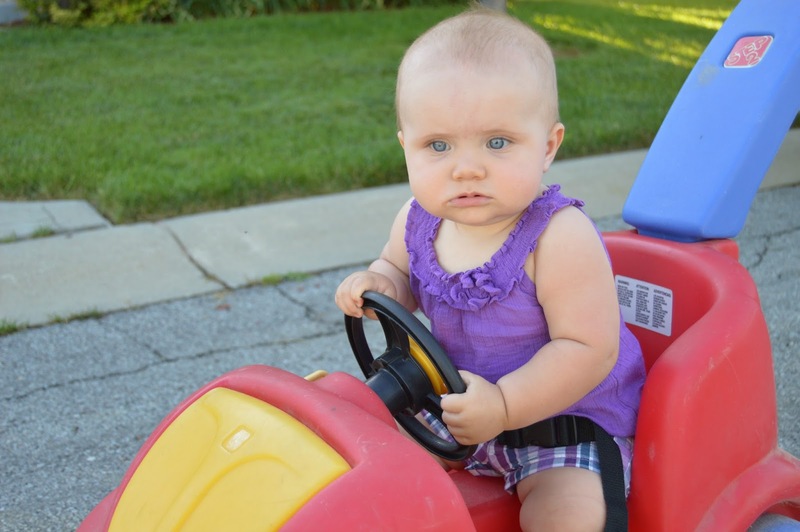 Miss Remy even had her turn at racing too! It was such a fun family day - so fun that Cohen continues to remind me about it on a daily basis. The snacks were amazing and of course the Chili Cheese Dip was the highlight of the meal. I can't wait to make it bigger and better next year! I'm thinking checkered flags and the whole nine yards! Go big or go home, right? How do you make sure you don't miss a minute of the race? 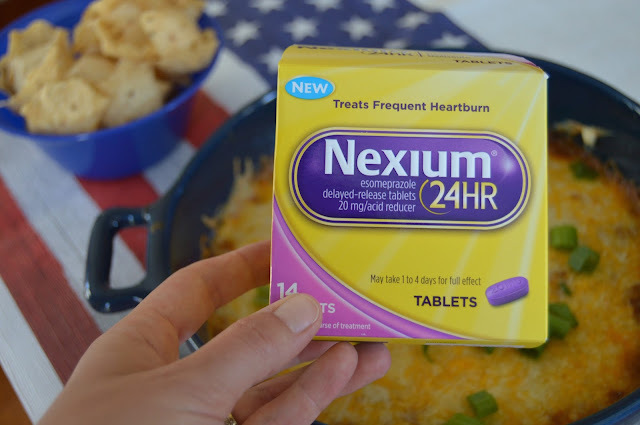 Be sure to check out how Nexium can provide you relief from that frequent heartburn! 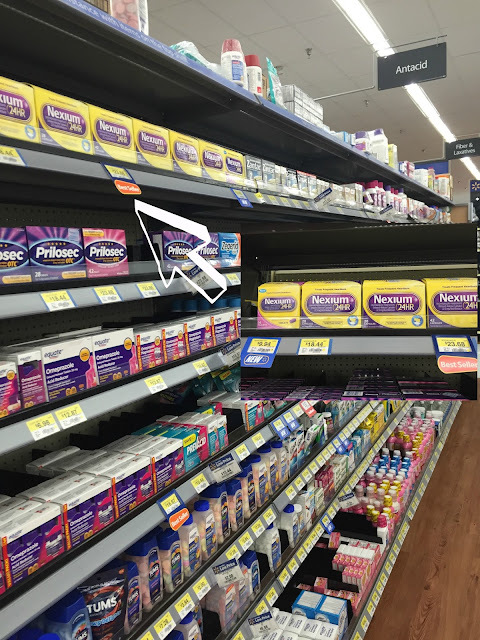 Check out some awesome coupons and savings off your next Nexium purchase too!